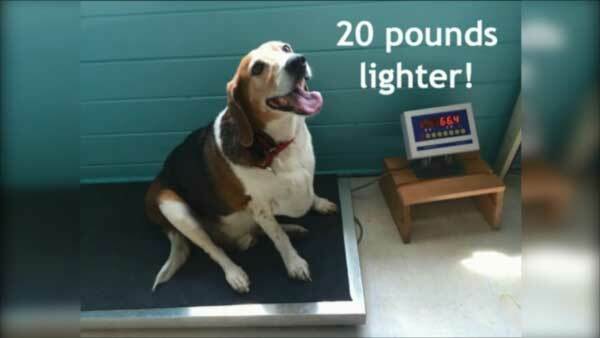 CHICAGO (WLS) -- Kale Chips, a beagle who weighed 85 pounds when he was rescued in Chicago last winter, has lost 23 pounds. Now he needs a home. When Kale Chips was picked up from Chicago Animal Care and Control on Jan. 6, he was morbidly obese and could barely walk 10 feet. The dog went to live with a foster family through One Tail at a Time, a local dog rescue, who helped him get back to a healthy weight. He can now walk about half a mile per day and only needs to lose 25 more pounds. 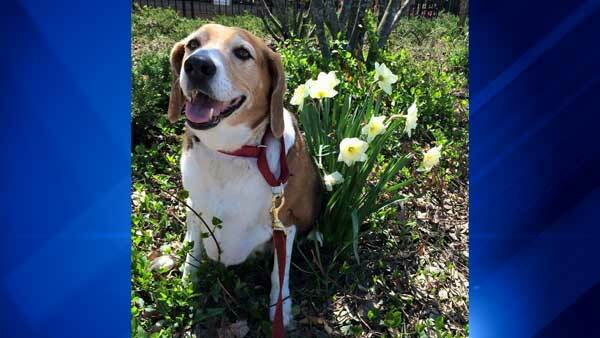 A Chicago beagle who weighed 85 pounds when he was rescued last winter has lost 23 pounds and he's looking for a home. He's looking to continue his weight-loss routine with his new family. Kale Chips gets along well with other pets and would do well in a home with no small children. "His favorite thing to do is watch the squirrels. If he could find a home with a fenced yard where he can spend his days outside we think he would be very happy," One Tail at a Time Executive Director Heather Owen said. Anyone interested in adopting Kale Chips should email HeatherOTAT@gmail.com.